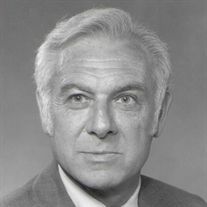 Mr. Boyd C. Humphrey, WWHS Class of 1958 Sponsor was born December 26, 1925, in Surveyor, West Virginia. He was the second of three children born to Eva Lafferty Humphrey and Samuel Joseph Humphrey, a coal miner. Surveyor was quite a booming town at that time. It had a hotel and the C&O and Virginia Railroads had a freight station, etc., there as well as an area for servicing Virginia Railroad (now N&W). Mr. Humphrey attended school at Trap Hill School, which at that time included grades one through twelve. He was an avid Boy Scout who achieved Life Scout rank and was looking forward to becoming an Eagle Scout but the troop folded. He completed his high school credits (seven credits in English since journalism also counted as English credits) in January 1943 and graduated in June 1943. Not wanting to be drafted into the Army, Mr. Humphrey volunteered for the United States Navy. He was sent to the University of Minnesota for one semester for some training in electrical work. He served at duty stations in San Diego, California, Norfolk, Virginia, and Bainbridge, Maryland. Overseas duty included Hollandia, New Guinea (now Kotabaru) for approximately two years along with serving at different areas in the South Pacific. He participated in the Leyte Gulf Landing in the Philippines. During his last four months there he worked with the Philippine National Guerilla Army in Special Forces. While serving in the Navy Mr. Humphrey earned a Pacific Ribbon with 2 Stars, Pacific Theatre Ribbon, Victory Medal and Philippine Liberation Ribbon with 2 stars. He was discharged from the Navy in May 1946. 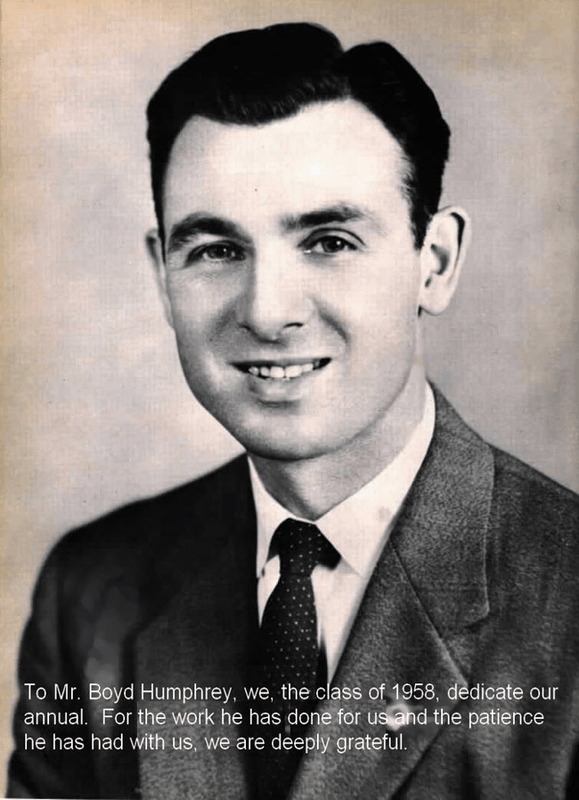 Following his service to our country Mr. Humphrey earned a Bachelor of Science degree from Concord College (now Concord University) graduating in May 1949. He continued his education at Marshall University where he was awarded a Master’s Degree in August 1952. After graduation in 1949, he taught World History and Civics for two years at Marsh Fork High School. In 1951 he began teaching at Woodrow Wilson High School and taught there and at Park Junior High School for a total of 23 years. Mr. Humphrey married Maxine O’Neal Humphrey from Lester, West Virginia, in 1950. They had been married 33 ½ years when Maxine passed away. They had two children. Their son, Boyd, Jr., holds a Master’s Degree in Mining Safety and worked as a supervisor for 18 years. Presently he is teaching in a Technical School. Their daughter, Lynn, is a teacher in Raleigh County Schools. They have two grandchildren and one adopted grandson. In 1968, after leaving the teaching profession, he became a textbook representative for Houghton Mifflin Company covering all of the state of West Virginia. Surprising many people, he was quite successful selling textbooks and remained in that profession for 22 years until he retired in 1990. In 1982, Mr. Humphrey married Ina Jennings Field from Athens, West Virginia, who was a supervisor in Mercer County Schools before retiring. Throughout his lifetime, Mr. Humphrey has enjoyed many hobbies and activities. They include coin collecting, fishing, hunting, Beckley Gun Club, shooting and gardening. Now in retirement, he continues to enjoy gardening, volunteers at the Veterans Hospital helping the chaplain and working in the library. Mr. Humphrey has been on the Beckley Planning Commission for 15 years and is still active in that endeavor. In communication with Mrs. Betty Jarrell, also a former teacher at Woodrow Wilson High School, I learned that she still sees Mr. Humphrey on occasion when she is in Beckley. She saw him a few times when she was working in the polls and noted that he and his wife, good citizens that they are, always voted. She also remembered Mr. Humphrey’s accompanying her and her senior Distributive Education Class to Charleston (at the request of Mr. Peregoy) and that he seemed to enjoy the trip. For many of the students, it was their first trip to Charleston. She reported that she never had any problems with any of the students she felt because she let them know what she expected from them (and that she would be giving them their final grade!). My memories of Mr. Humphrey go back to Sophomore Year when I was in his General Business Class that he continued to teach along with Business Math. He remembered one year—1953 or 1954—that Mr. Peregoy had him teach a small class in Commercial Georgraphy. He also sponsored the Sales Club that ran the snack bar at the ball games. It was always a pleasure working with him. Mr. Humphrey states that he is very proud of the Class of 1958 and the fact that so many have enjoyed much success in life. He claims many of us as special friends and enjoys so much hearing from us and about our successes in life. Obituary for Boyd Curtis Humphrey Sr.
Boyd Curtis Humphrey, Sr., 88 of Beckley passed away Saturday, May 31, 2014. Born December 26, 1925 in Surveyor, he was the son of the late Samuel Joseph and Eva Lafferty Humphrey. In addition to his parents he was preceded in death by his first wife, Maxine Humphrey. Boyd worked for the Raleigh County Board of Education for many years. He started his career at Marsh Fork. He taught math at Woodrow Wilson and was a guidance counselor and Vice Principal at Beckley Junior Hugh. Following his teaching career Boyd was a sales representative for the Houghton Mifflin Co. 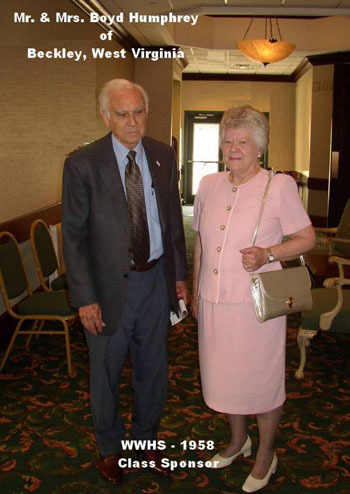 He was a member and former deacon of the First Baptist Church, Beckley where he served on the board of trustees and was a former Sunday school teacher of the Barraca Class. Boyd was a member of the American Legion and volunteered at the Beckley VA Medical Center. He is survived by his wife, Ina Jennings Humphrey; daughter, Lynn Noyes and husband Walt of Oak Hill; son, Boyd “Chip” Humphrey, Jr. and wife Maryann of Beckley; grandchildren, Neil Humphrey and wife Brittany, Daniel Humphrey, Laura Suzanne Noyes, Andrew Noyes; brother, Lloyd Humphrey and wife Eileen of Durham, NC; step children, Patricia Ann Peterson and husband John of Abingdon, VA, Charles Jackson Fields and wife Irene of Berkley Springs, WV; step grandchildren, Stephanie Swanson and husband Steven, Samantha Lemasters and husband Todd, Christopher Peterson and wife Tanna, Andy Fields and wife Jennifer and 9 great grandchildren. Funeral services will be conducted at 11:00 a.m. Monday, June 2, 2014 in the Calfee Funeral Home Chapel with Rev. Doc Adkins officiating. Entombment will follow in Sunset Memorial Park. Friends may visit with the family one hour prior to service on Monday at the funeral home.